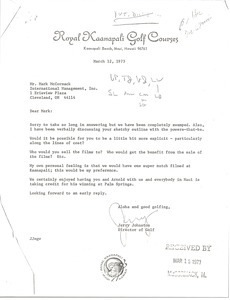 Hawaii - Hancock requests a sponsor's exemption at the 1978 Hawaiian open. 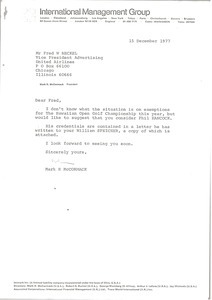 Hawaii - McCormack would like Heckel to consider Phil Hancock for the Hawaiian open Golf Championship. 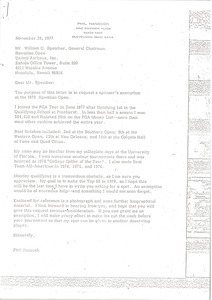 Hawaii - Asking about the costs associated with the creation of a tournament film at the Royal Kannapali.